Anyone who's been curious about Second Life but not quite sure what to do there should try it out now! Why? Burning Life is going on -- Second Life's homage to Burning Man. 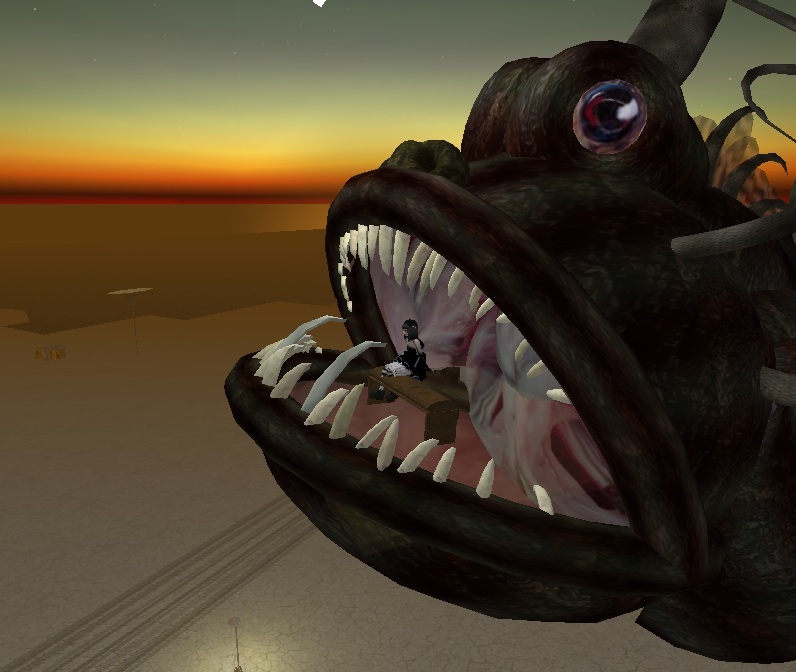 Yes, this is what Second Life is all about. Art, randomness, and strange flights of fancy in a world without the limitations of RL physics. Here I am out on the playa, sitting in Chester's mouth.